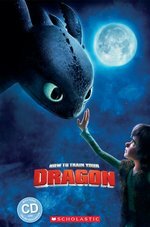 Our ELT Readers are a series of graded readers based on popular films, TV series, classic literature and famous figures. Catering for a range of ages and abilities, there is a perfect reader for everyone! So, we asked people around the Scholastic office which reader is their favourite, and why. it is perfect for Primary children who are reading English confidently. Following the adventures of Smurfette and her brothers as they race against Gargamel in the Enchanted Forest to save The Lost Village. We love this reader because The Smurfs are popular and entertaining for both adults and children, so this Reader will capture the imagination of English learners of all ages! Everybody’s favourite fairytale characters feature in this ELT Reader, based on family-favourite film, Shrek. 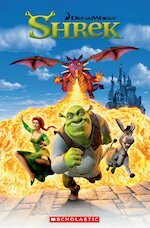 When Shrek’s swamp becomes overrun with fairytale characters, he is less than happy. Desperate to get his home back to normal, Shrek agrees to rescue a princess of behalf of the unscrupulous Lord Farquaad. But once Shrek meets Princess Fiona, he starts to have doubts about his mission to find Lord Farquaad a wife. Bea, who works in marketing, loves this Level 1 Popcorn Reader because Shrek is her favourite film to watch with her little brother and they also enjoy reading the book together! 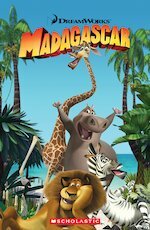 Another reader based on an incredibly popular film, Madagascar follows the adventures of Alex, Marty, Melman and Gloria, animals and residents of the New York Central Park Zoo. Bored with city life, the animals end up stranded on the African island of Madagascar. Can they survive the jungle and make it back home? This Starter Level – Level 1 Popcorn Reader is a firm favourite of Kate’s, who also works in the marketing department. She loves it because it makes her laugh out loud just like the film did! This Starter Level – Level 1 Popcorn Reader is based on Rudyard Kipling’s ever-popular The Jungle Book. 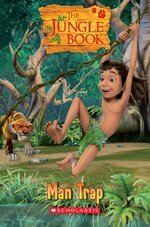 The story follows Mowgli, a young boy raised by wolves in the jungle. As his friend Baloo is tricked into a trap by Shere Khan, Mowgli is the only one who can save him. Everyone in the office loves this reader because it reminds them of a classic childhood novel and a favourite family film! 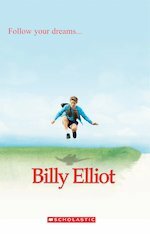 An adaptation of the film and musical Billy Elliot, this reader is a Secondary Starter Level Reader all about an 11 year old boy who wants to be a dancer. Every week he sneaks off to ballet class, while his dad thinks he is having boxing lessons! He wants to audition for the Royal Ballet School, but how can he tell his family? 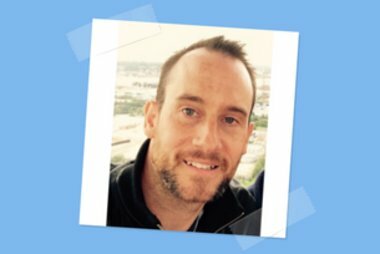 All of our ELT Readers are accompanied by free teacher’s notes. There are also audio CDs with a recording of the story for many of our readers. 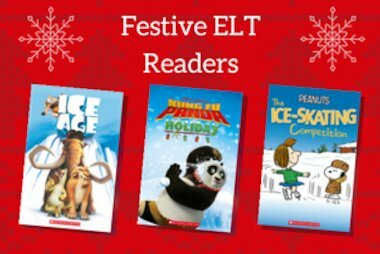 Which ELT Reader is your favourite and why?